The Academy is in for an interesting night. Sure the ballots have long since been cast but the story of all the votes unfold tonight. The night could go many directions and yield a few surprises but, as always, the Monday morning water cooler conversations that follow will be centered around the biggest awards, of which many are true toss-ups. At the center of all the key awards, and potential controversy, is Alejandro Gonzalez Iñárritu’s Birdman. Will the Academy award the truly unique film a sweep in the major categories (picture, director, actor, original screenplay, supporting actor, supporting actress) or could the film simply walk away with a win for cinematography? It’s a big question, especially since outside of cinematography, Birdman is not an outright favorite for ANY of its other nominations. Oh the intrigue! Birdman aside, what if the story of the night is Richard Linklater’s Boyhood, a true labor of love, sweeping its nominations? Or, in a bigger surprise, what if the box office success of the Clint Eastwood vehicle American Sniper leads to massive upsets? It would be surprising but it could happen. A bigger shocker would be if either The Theory of Everything or The Imitation Game walked away with major awards. It would delight the Cumberbatches and create an internet firestorm but therein lies the potential fun. Sadly, what is most likely to happen is that no film is truly a “big” winner. The truth is that the golden statues could easily, and controversially, be distributed evenly with split votes being the cause. In a world where shock and awe are fun, it wouldn’t be fun at all if the Academy award spread the wealth and award a variety key films with a big award or two; unless of course it involved Selma sneaking in and stealing best picture – THAT would be interesting. No matter what, tonight should be fun. Neil Patrick Harris will deliver clever lines, likely through song and dance, while winners go long with speeches, dresses are made fun of and commercials annoy but that is just fine. Why? 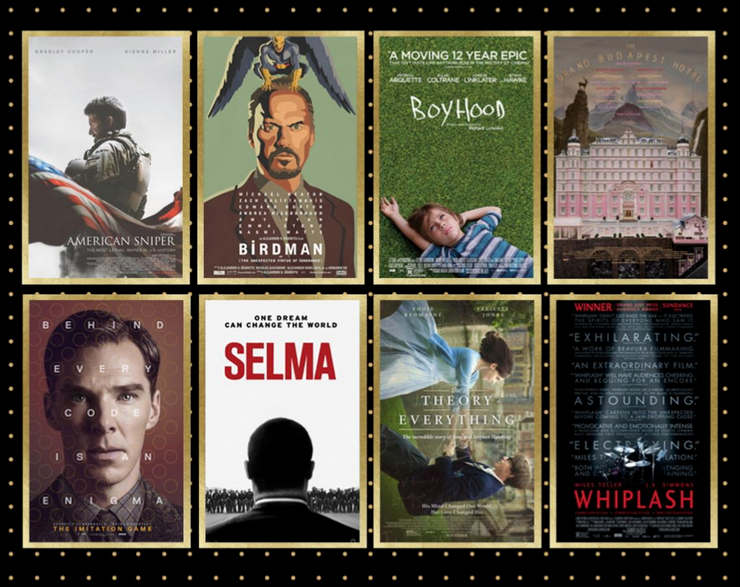 Because even if the awards are boring, viewers can play Oscar bingo, quench thirst during Oscar drinking games, dress up as nominated film characters and, of course, have ballot competitions. No matter what the choice, entertainment is there to be had! As for the following Oscar predictions, use the “What will win” section when filling out your printable ballots. Please note that a few of the categories are true toss-ups, like best picture/director/actor, so on those, just cross your fingers, drink your wine and you’ll be just fine! Or simply pick Birdman to win each category it’s nominated in and hope the Academy was smart enough to do the same. 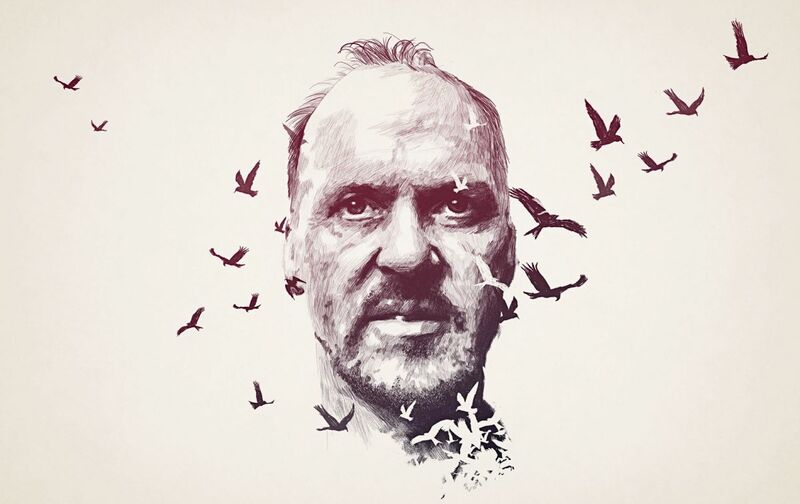 Without at shadow of a doubt, Birdman is the best film of the year. A standout screenplay, coupled with a visionary director and superb acting performances across the board should carry this film to the evening’s best prize. However, in a true toss-up, Boyhood could win the prize and the shocker, sadly, is that it wouldn’t be shocking. As with best picture, this category is again a toss-up between Birdman and Boyhood. Odds are the Academy will split the votes between the films across the two major categories but hopefully ultimately, Linklater’s labor of love will finish second, again. As with previous winners like Daniel Day-Lewis and Tom Hanks, Eddie Redmayne will likely be rewarded for his physically transformative performance as Stephen Hawking. However, it is Michael Keaton that delivers the true standout performance of the year, second only to Jake Gyllenhaal’s creepy turn in the under-appreciated Nightcrawler, but it is Redmayne that will ultimately capture the coveted award. Sigh. A landslide victory years in the making is in the forecast for Julianne Moore tonight. Not only has Moore been nominated four times previously, and more importantly has never won, but the field is relatively weak thus giving the tremendous actress a well-deserved win. I love J.K. Simmons. I do. Simmons always brings a certain fervor and intensity to any performance, and his role in Whiplash is no exception, but was it really the best performance of the year? Simply put, no. It is the nuanced, scene-stealing performance of Edward Norton that truly deserves the prize. Too bad it won’t happen. The commitment and strength that Patricia Arquette delivers in her decade long performance is well-delivered and is definitely admirable but, as with Simmons, it is again a captivating performance in Birdman, this time by Emma Stone, that deserves the prize. Once again, a Birdman actor won’t take home the golden statue. To watch The Grand Budapest Hotel is to be taken to a wholly original world made beautiful by captivating characters embarking on sparkling adventures. Could anyone else (continually) create such an original visions and ridiculously unique stories? I doubt it. It is truly admirable of Paul Thomas Anderson to even attempt to adapt the incoherent beast that is Inherent Vice but the Oscar should go to Damien Chazelle for his success in creating the best adapted screenplay, even if it was more original than adapted. Ida is a beautiful, tidy little film that has a wonderful coming-of-age message that deserves to win over its competitors but it is sad that the actual best foreign language film of the year, Force Majeure, didn’t even receive a nomination. The best animated feature of the year is, sadly, not even nominated in the category. The Lego Movie was hands down the best animated feature, both critically and commercially, but given its glaring omission, a sappy sequel will instead take the prize.